Patty's Utopia: Inocente Izucar in Seattle. About a month ago, I received an email from a friend letting me know that the Seattle Art Museum, and the Seattle University were looking for community partners to help spread the word of an event that would take place at the Seattle Art Museum at the end of September. "Seattle Art Museum in partnership with Seattle University and Sanctuary Art Center will be hosting a screening of “Inocente” On Friday September 27th. We would like to invite your organization to co-present this event with us given the theme of the documentary and the community work that you do. We have the opportunity to list you as a co-presenters in promotional materials. Could you please reply ASAP* and let me know if you’d like to do this?" As I was reading the email, I knew that the Latino Community Fund of Washington State had to be a copartner. And that's how my involvement in this event was possible. "Inocente" is an Academy Award® Winner as Best Documentary Short Subject based on the life of a fifteen-year old teenage girl who refuses to surrender her dream of becoming an artist, decides to wake up every morning with a positive attitude, despite the cruelty of her surroundings as a homeless, undocumented person living in San Diego. I will not tell you what the whole film is about because then, I would kill the emotion; what I can say though, it's that this is definitely a documentary you have to see. 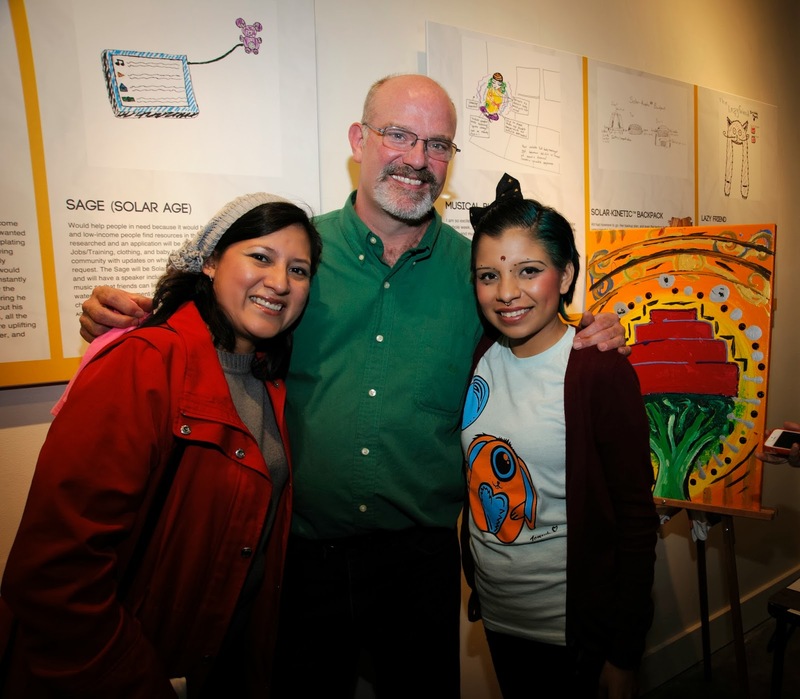 The Seattle University brought this documentary to Seattle to increase awareness about their Project on Family Homelessness, which goal is to help the public understand family homelessness, its causes and its solutions, and to engage the public to end it. Inocente herself, her mentor Matt D'Arrigo from A Reason to Survive (ARTS) San Diego, and Troy Carter, executive director of Sanctuary Art Center, were available for a Q&A session right after the short film ended. The audience asked many questions, and the group of Latinos that was sitting in the back of the theater, was accused of holding the microphone for too long... yup, I was one of them. It was just very difficult to not take this opportunity to learn more about this amazing young girl who has a beautiful spirit, and never gives up. 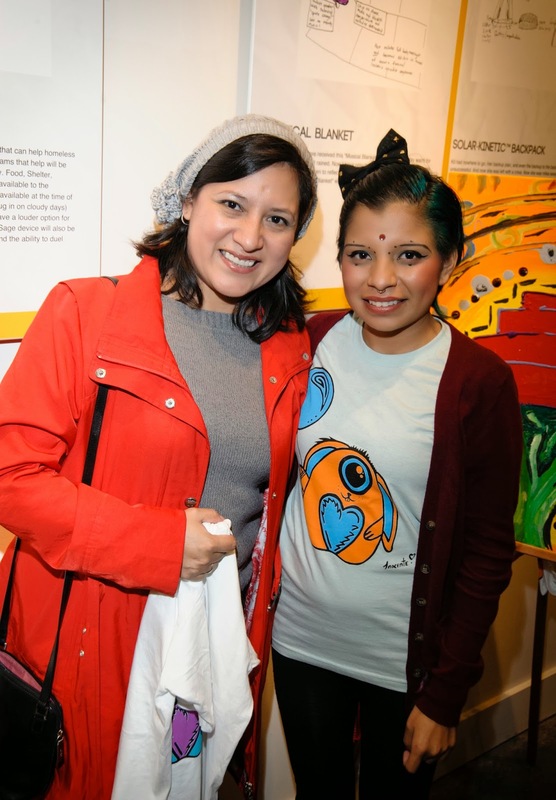 The night ended with a small reception for ticket holders at cmd+p, the Pioneer Square gallery of Sanctuary Art Center, where a group of friends, and I, had some pictures taken with Inocente Izúcar. It was a magical night that made me think again, about how often we complain about trivialities, forgetting that, there's usually someone having a much difficult life. 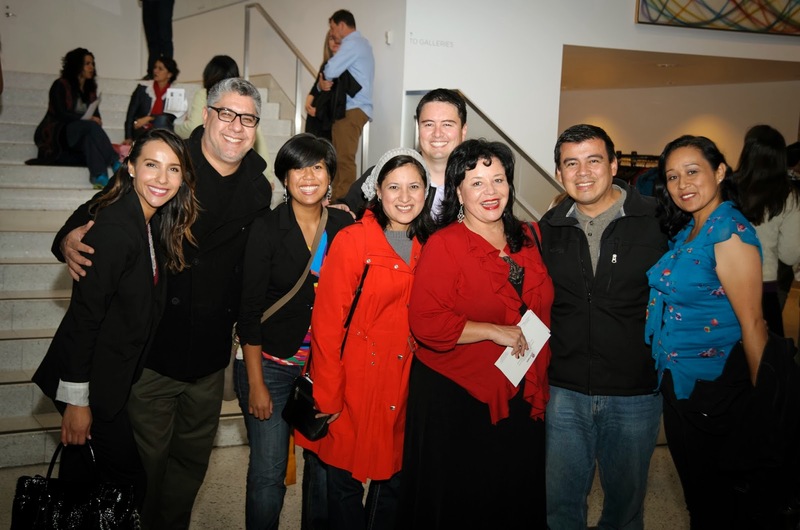 From left to right: Teresa Gonzalez, Fernando Luna, Heather Villanueva, myself, Tino Gallegos (on the back), Teresa Jones, Miguel A. Munoz Lucho. The reception after the screening at cmd+p. It was a full house! Inocente signing the T-shirt I bought for my granddaughter. Steven Schimmelman, Inocente and I.